Zitro received a visit from the director of taxation and gaming of Castilla La Mancha, Susana Pastor, as well as the head of game services of Castilla La Mancha Javier Gómez, both of the Spanish government. 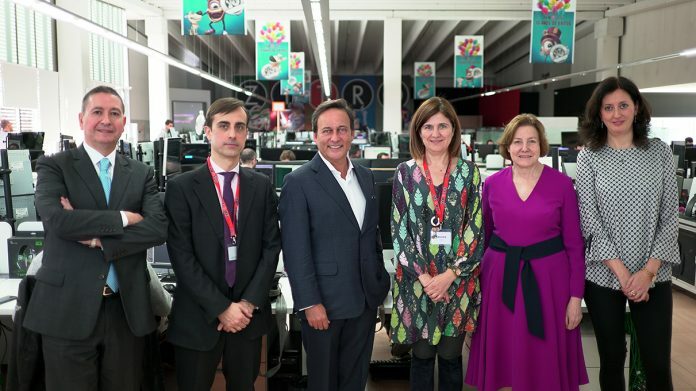 During the tour of the Zitro Technology Campus in Barcelona, ​​the officials from Castilla la Mancha were accompanied by the top representatives of Zitro: Johnny Ortiz, President, Manuela Jimenez, vice-president, Sebastián Salat, CEO, and Cristina Garcia, director of institutional relations. The guests got to know the different departments that are fully-dedicated to our R&D activities, and witnessed how the team at Zitro transformed the power of ideas, through the most advanced technology on the market, into unique experiences and profitable solutions for players and gaming operators around the world. Garcia highlighted the importance of this visit as an essential step to establish and maintain continuous dialogue between the different stakeholders in the gaming industry. This visit, she added, demonstrates the willingness of public institutions and the private sector to work together.